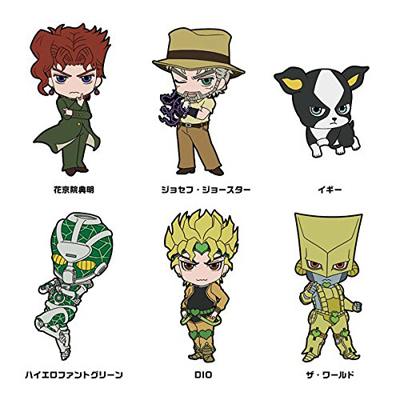 A total of six rubber straps to collect from Jojo's Bizarre Adventure: Stardust Crusaders. Straps are random and packed 6 per case. If you order in quantities of 6, we will send you a sealed box (if available). However, full boxes do not guarantee complete sets. One strap per box.